The most valuable thing you earn at ALDI is opportunity. Store teams are the ALDI strategy in action. 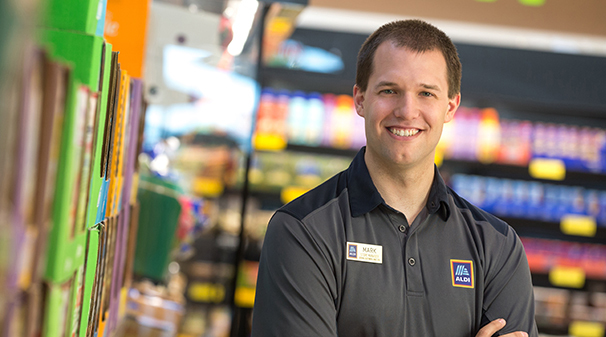 Every store is led by a dynamic, responsive and dedicated team leader who personifies the core values of ALDI. 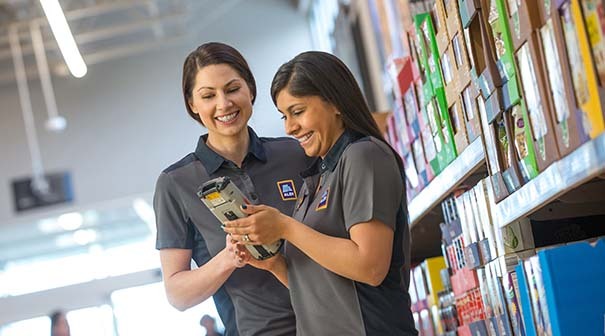 Within our cooperative atmospheres, store employees are certain to learn together and from each other as they collaborate to complete day-to-day responsibilities — because you’ll never have the same day twice. At ALDI, our organization is simple. Our flat hierarchy allows leaders to know their people, stay informed, and promote an open flow of ideas and suggestions to empower more effective decision making. As a result, we’re able to recognize talent and top performance early and often. Store Manager Trainees begin their ALDI experience with an extensive training program and learn what it takes to manage an entire store. 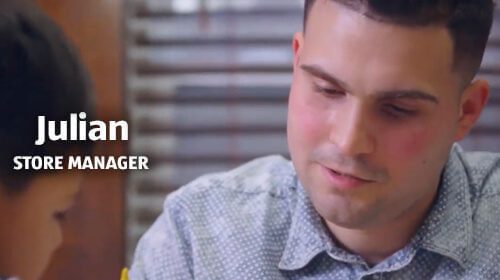 You’ll work closely with our Store Managers and District Managers to efficiently and effectively conduct store operations while learning how to lead, coach and develop Store Associates. It’s a challenging career in a fast-paced environment. But that’s why it’s immensely rewarding. 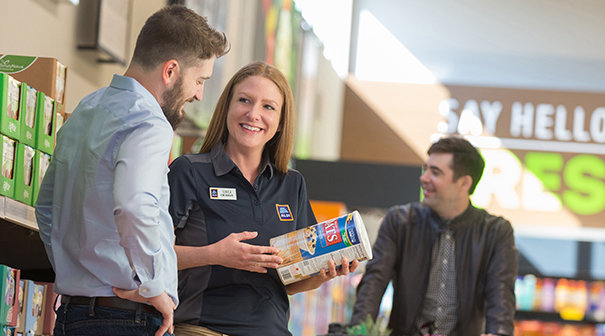 Our Store Staff is the face of the ALDI shopping experience and our most valuable asset. Their hard work makes it possible to uphold our company philosophy to provide the highest quality products at the lowest possible prices. Their smiles and pleasant demeanors keep customers coming back time and time again. As part of our Store Staff, you'll be front and center performing a variety of duties while delivering outstanding customer service. Store Staff positions include: part-time Stockers, part-time Cashiers and full-time and part-time Store Associates. Our staff is responsible for assisting Store Management by merchandising product, monitoring inventory and keeping the store looking its best. It's a great opportunity to get more out of your career and grow in an exciting environment.